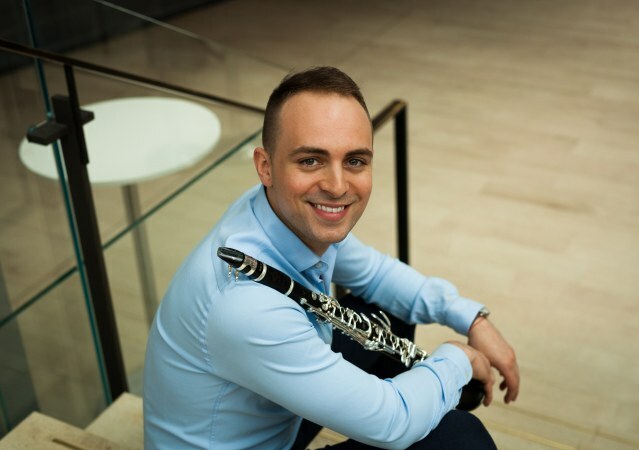 Toronto Symphony Orchestra Bass Clarinet/Clarinet Miles Jaques joined the TSO in 2017. He continues to serve as Bass Clarinet of the Santa Fe Opera Orchestra. Before moving to Canada, Mr. Jaques was a member of the New World Symphony in Miami Beach, Florida. An accomplished orchestral musician, Mr. Jaques has performed with numerous ensembles, most recently The Cleveland Orchestra, New York Philharmonic, Florida Orchestra, Florida Grand Opera, and Symphony in C, among others. An avid chamber musician, Mr. Jaques regularly performs as a part of the TSO Chamber Soloists and has appeared in numerous festivals and societies throughout the US and Canada including, ChamberFest Dubuque, Baltimore Chamber Music Society, Young Musician’s Forum, and with Orli Shaham in her chamber music concert series Baby Got Bach. Summer 2018 will mark Jaques’ debut with the Toronto Summer Music Festival where he will appear as guest-artist and faculty member. As an educator, Mr. Jaques has given masterclasses at the Glenn Gould School (Royal Conservatory of Music, Toronto), University of South Dakota, and Academia Filarmónica de Medellín (AFMED) in Colombia. Mr. Jaques has received degrees from the Peabody Conservatory of Johns Hopkins University and the Mannes College of Music. Principal teachers include Anthony McGill and Edward Palanker, and additional bass clarinet studies with James Ognibene.